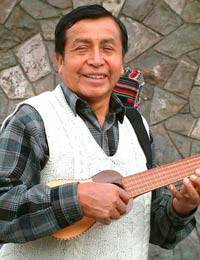 This authentic panpipe is called a zampoña - the flute of the Andes that dates back to the Inca empire. The instrument, crafted of bamboo, is comprised of a concave arrangement of 23 pipes. Each pipe is slightly shorter than the next, and each one produces a unique pitch. The flute arrives in a carrying case that emulates handloomed Inca textiles.